They say timing is everything and right now mine couldn’t be more off. Like several other people around me I got hit with the dreaded summer viral infection/cold/sore throat/cough/headache thing over the weekend. Still not back to normal but the medications are starting to work so I’m hoping it won’t be much longer. What’s interesting about this is that I was totally not prepared – no cough syrup, no nasal spray, no throat lozenges, chicken soup - nothing. My chances of getting this “thing” were in my mind not high enough to be prepared. Seriously what were the odds? In hindsight, pretty darn high. I ended up in the Urgent Care Clinic that night. How does this get me to this week’s blog? Well, I started thinking about how easy it is to make excuses for putting things off and putting them on the back burner when the “danger” is not right in your face. That may be okay for examples like mine, but what about the bigger things? What about the things that could have more dire consequences? Suppose you manage a warehouse or industrial facility? 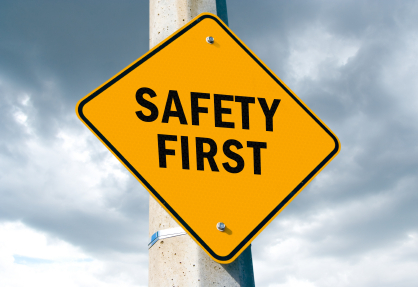 You need to keep your workers, your building, equipment and products safe. In fact, it is the mixture of all of these elements, coming together in the same confined space that presents you with one of the biggest safety challenges. Statistics confirm that a significant number of accidents – some fatal – occur in these facilities every year. Safety is Priority #1. It’s also something that can’t be put on the back burner. It can be expensive, it takes time and everyone has to buy into the plan. It’s hard. But with safety there’s no waiting until the timing’s better, or until you have the money: there’s no guesstimating the odds on that accident happening. It will happen. There’s no waiting to purchase safety equipment because it’s too expensive; the price of an accident and the damage it can cause is much steeper. Please, be prepared. In the long run, you’ll thank yourself. Your employees will thank you too. How many times have you made excuses for not trying something new? At one point in my life, I had a treasure trove of some pretty creative ones; always on hand in case I needed them to defend me from attempts to leave my comfort zone. Mine were categorized; age (too young or too old), time (not enough, too busy), stories (when my friend’s mother’s sister tried it – WHOA – not good); you get the picture. Who was I kidding? The biggest reason was fear of failure; plain and simple. Fear of being different; fear of looking silly; fear of not being perfect, blah, blah, blah. 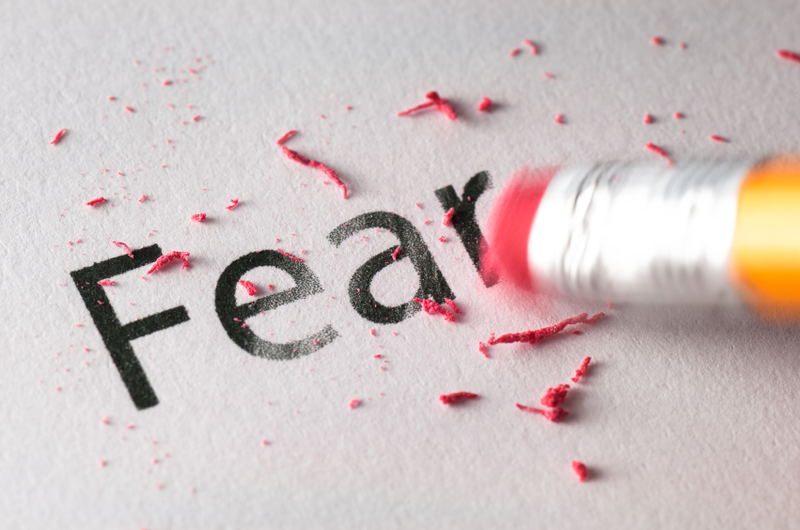 Fear; that four letter word that stops you in your tracks and makes you feel like your feet are rooted in the ground; makes you sweat profusely and suddenly lose all grasp of the English language; and stops you from experiencing, learning and enjoying something new. It can block your way to achieving a goal. At some time everyone experiences fear of failure, but when it stops us from even trying something new, that’s another story altogether. Think about it. How many times have you let that fear conquer you? Maybe it was not joining a choir because you were afraid of the audition, or going for a part in a play because you were afraid to put yourself out there. Maybe it was a missed career opportunity that kept you from moving forward; maybe it was a fear of public speaking that stopped you from giving that big presentation at the company meeting. Funny thing is that not trying can make you feel as miserable as if you tried and failed. So how do you conquer that fear? Embrace it and learn from it. Consider what’s more important – failing or the opportunity missed by not even trying? What’s the worst that could happen if you fail? Can you handle that? What happened last time you fell short of your goal? Most importantly, take action. It’s surprising how much easier things get after that initial plunge. It’s like wearing a new pair of jeans. At first, they’re tight, stiff and uncomfortable. The more times you wear them, the more comfortable they get. Besides, my grandpa always used to tell me that the only people who never make mistakes are people who don’t do anything. He was a very wise man. So go the iconic words of Ernestine the Phone Operator. If you are too young to remember Ernestine, she was the creation of actress and comedian Lily Tomlin. Along with a cast of other zany characters, she was featured on Laugh In. As irreverent as she could be with phrases like, “How may I, in all humble servitude, be of assistance?” she was a live voice on the other end of the line. How often does that happen now? Well if you take the experiences we’ve had in our office this past week, NOT very often. My colleague, who incidentally is our company’s first line of communication, was doing follow-ups to customers who requested additional information on our products. With each call, I could sense her mounting frustration. Why? Each call was answered with an automated system or not at all. Seriously? Even with email, LinkedIn, Facebook, Twitter and any other forms of communication we now have access to; the telephone is still the front line of our business communications. A phone answered by a “real” person creates a link with the person on the other end of the line – an important link. Many times it’s the first impression of your company a customer experiences. It better be good. Do you really want your first point of contact with a customer to be an automated phone attendant? How frustrated do you get when you get a system where you need to go through a dozen steps to get to your destination? 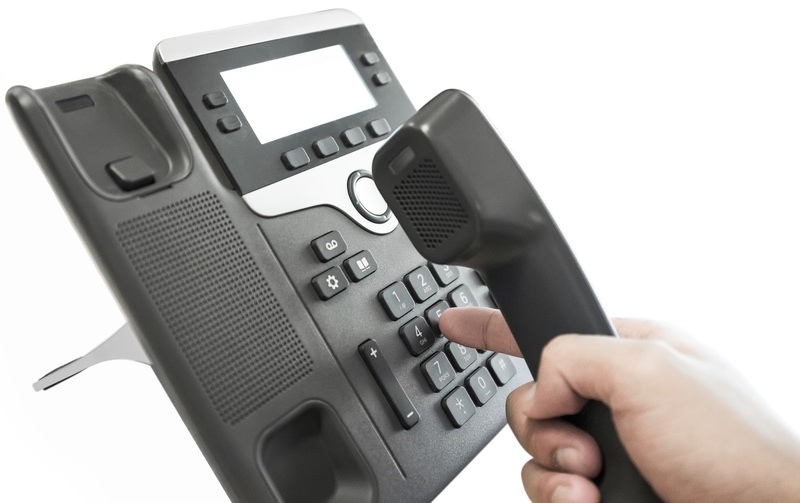 A recent statistic cited that about eighty percent of first-time callers hang up when they reach an automated answering machine. Eighty percent! Some may argue that an automated system is less expensive, that their company is too small or too big to have a person dedicated to the phones or that the automated system just works best for them. I respectfully disagree. It’s really something to think about. Call Sentry and you will get a “live” person answering your call. A person that engages customers in conversation, laughs with them, finds solutions to their challenges and creates a relationship with them. At Sentry, we’re lucky to have Cheryl as our first contact and she’s the best. Just ask our customers. What happens when you don’t have a Cheryl to put on the front line? Well, that’s a topic for a whole other blog. Oops. Sorry, I have to go. Cheryl is at lunch and the phone is ringing. My turn on the front line. Are you writing checks that you can’t cash? At one time or another we’ve probably all heard this saying – or at least some version of it. To most it signifies making promises that you can’t keep. Why would anyone do this? Good question. It’s been my experience that nothing good ever comes out of unfulfilled commitments. Nobody really wins. This came to mind today as I read about a prominent NBA player who as a free agent committed to one team and then five days later changed his mind and committed to another. Wow. According to the league’s rules, he didn’t really do anything wrong. The current rules state that agreements aren’t binding until a player actually signs a contract. Okay so technically he was within his rights. So much for being good for your word. What happened to trust and integrity? What happened to honoring a commitment? Maybe he got the best deal moneywise, but what he did put a lot of people – people who trusted him – in a pretty bad place. Maybe he doesn’t care. To me the losses far outweigh the gains. 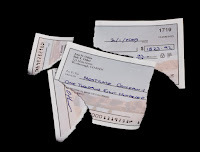 He compromised, if not destroyed, his credibility and the faith people had in him to honor a commitment. My grandma used to say, “What’s coming to you is coming to you.” In other words, what goes around comes around. It sure does. From this day forward any commitment he makes will be suspect by those who got burned this time around. And most likely they will be all too happy to spread the word. Was it worth it? For the short term possibly; in the long term, don't think so. Trust is one of the most valuable things we can possess. It is the foundation of our most important relationships; our families, friends, employees, customers. You can’t buy it, you can’t sell it; you have to earn it. That doesn’t happen overnight. Losing it, on the other hand, can happen in a matter of seconds.